Mecca[a], also spelled Makkah, is a city in the Hejazi region of the Arabian Peninsula, and the plain of Tihamah in Saudi Arabia, and is also the capital and administrative headquarters of the Makkah Region. The city is located 70 km (43 mi) inland from Jeddah in a narrow valley at a height of 277 m (909 ft) above sea level, and 340 kilometres (210 mi) south of Medina. Its resident population in 2012 was roughly 2 million, although visitors more than triple this number every year during the Ḥajj (Arabic: حَـجّ‎, "Pilgrimage") period held in the twelfth Muslim lunar month of Dhūl-Ḥijjah (Arabic: ذُو الْـحِـجَّـة‎). As the birthplace of Muḥammad, and the site of Muhammad's first revelation of the Quran (specifically, a cave 3 km (2 mi) from Mecca), Mecca is regarded as the holiest city in the religion of Islam and a pilgrimage to it known as the Hajj is obligatory for all able Muslims. Mecca is home to the Kaaba, by majority description Islam's holiest site, as well as being the direction of Muslim prayer. Mecca was long ruled by Muhammad's descendants, the sharifs, acting either as independent rulers or as vassals to larger polities. It was conquered by Ibn Saud in 1925. In its modern period, Mecca has seen tremendous expansion in size and infrastructure, home to structures such as the Abraj Al Bait, also known as the Makkah Royal Clock Tower Hotel, the world's fourth tallest building and the building with the third largest amount of floor area. During this expansion, Mecca has lost some historical structures and archaeological sites, such as the Ajyad Fortress. Today, more than 15 million Muslims visit Mecca annually, including several million during the few days of the Hajj. 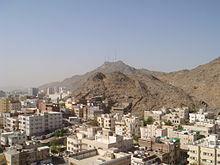 As a result, Mecca has become one of the most cosmopolitan cities in the Muslim world, although non-Muslims are prohibited from entering the city. Mecca is the capital of the Makkah Region, which includes neighboring Jeddah. The provincial governor was prince Abdul Majeed bin Abdulaziz Al Saud from 2000 until his death in 2007. On 16 May 2007, prince Khalid bin Faisal Al Saud was appointed as the new governor. Ptolemy lists the names of 50 cities in Arabia, one going by the name of "Macoraba". There has been speculation since 1646 that this is could be a reference to Mecca, but there is no compelling explanation to link the two names. The Year of the Elephant is the name in Islamic history for the year approximately equating to 570 CE. According to Islamic tradition, it was in this year that Muhammad was born. The name is derived from an event said to have occurred at Mecca. According to early Islamic historians such as Ibn Ishaq, Abraha, the Christian ruler of Yemen, which was subject to the Kingdom of Aksum of Ethiopia, built a great church at Sana'a known as al-Qullays in honor of the Aksumite king Negus. It gained widespread fame, even gaining the notice of the Byzantine Empire. 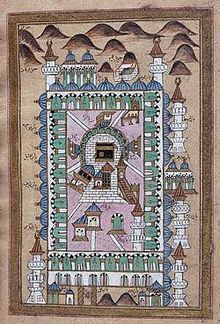 Abraha attempted to divert the pilgrimage of Arab people from Kaaba to al-Qullays and appointed a man named Muhammad ibn Khuza'i to Mecca and Tihamah as a king with a message that al-Qullays was both much better than other houses of worship and purer, having not been defiled by the housing of idols. When Muhammad ibn Khuza'i got as far as the land of Kinana, the people of the lowland, knowing what he had come for, sent a man of Hudhayl called ʿUrwa bin Hayyad al-Milasi, who shot him with an arrow, killing him. His brother Qays who was with him fled to Abraha and told him the news, which increased his rage and fury and he swore to raid the Kinana tribe and destroy the temple. Ibn Ishaq further states that one of the men of the Quraysh tribe was angered by this, and going to Sana'a, slipped into the church at night and defiled it; it is widely assumed that they did so by defecating in it. Abraha marched upon the Kaaba with a large army, which included one or more war elephants, intending to demolish it. When news of the advance of Abraha's army came, the Arab tribes of the Quraysh, Banu Kinanah, Banu Khuza'a and Banu Hudhayl united in defense of the Kaaba. A man from the Himyarite Kingdom was sent by Abraha to advise them that Abraha only wished to demolish the Kaaba and if they resisted, they would be crushed. Abdul Muttalib told the Meccans to seek refuge in the hills while he with some leading members of the Quraysh remained within the precincts of the Kaaba. Abraha sent a dispatch inviting Abdul-Muttalib to meet with Abraha and discuss matters. When Abdul-Muttalib left the meeting he was heard saying, "The Owner of this House is its Defender, and I am sure he will save it from the attack of the adversaries and will not dishonor the servants of His House." 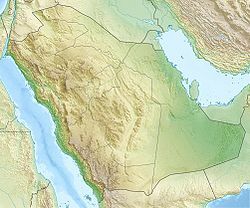 Abraha attacked Mecca. However, the lead elephant, known as Mahmud, is said to have stopped at the boundary around Mecca and refused to enter. It has been theorized that an epidemic such as by smallpox could have caused such a failed invasion of Mecca. The reference to the story in Qur'an is rather short. According to the Surah of Al-Fil, the next day, [as Abraha prepared to enter the city], a dark cloud of small birds sent by Allah appeared. The birds carried small rocks in their beaks, and bombarded the Ethiopian forces and smashed them like "eaten straw". Camel caravans, said to have first been used by Muhammad's great-grandfather, were a major part of Mecca's bustling economy. Alliances were struck between the merchants in Mecca and the local nomadic tribes, who would bring goods – leather, livestock, and metals mined in the local mountains – to Mecca to be loaded on the caravans and carried to cities in Shaam and Iraq. Historical accounts also provide some indication that goods from other continents may also have flowed through Mecca. Goods from Africa and the Far East passed through en route to Syria including spices, leather, medicine, cloth, and slaves; in return Mecca received money, weapons, cereals and wine, which in turn were distributed throughout Arabia. The Meccans signed treaties with both the Byzantines and the Bedouins, and negotiated safe passages for caravans, giving them water and pasture rights. Mecca became the center of a loose confederation of client tribes, which included those of the Banu Tamim. Other regional powers such as the Abyssinian, Ghassan, and Lakhm were in decline leaving Meccan trade to be the primary binding force in Arabia in the late 6th century. In World War I, the Ottoman Empire was at war with Britain and its allies, having sided with Germany. It had successfully repulsed an attack on Istanbul in the Gallipoli Campaign and on Baghdad in the Siege of Kut. The British agent T.E. Lawrence conspired with the Ottoman governor Hussain bin Ali, the Sharif of Mecca. Hussein bin Ali revolted against the Ottoman Empire from Mecca, and it was the first city captured by his forces in the Battle of Mecca (1916). Sharif's revolt proved a turning point of the war on the eastern front. Sharif Hussein declared a new state, the Kingdom of Hejaz, and declared Mecca as the capital of the new kingdom. News reports in November 1916 via contact in Cairo with returning Hajj pilgrims, said that with the Ottoman Turkish authorities gone, Mecca at Hajj 1916 was thankfully free of the previous massive extortion and illegal money-demanding by Turks who were agents of the Ottoman government. The reason for much of the destruction of historic buildings has been for the construction of hotels, apartments, parking lots, and other infrastructure facilities for Hajj pilgrims. However, many have been destroyed without any such reason. For example, when the house of Ali-Oraid was discovered, King Fahd himself ordered that it be bulldozed lest it should become a pilgrimage site. The pilgrimage to Mecca attracts millions of Muslims from all over the world. There are two pilgrimages: the Hajj and the Umrah. The Hajj, the 'greater' pilgrimage is performed annually in Mecca and nearby sites. During the Hajj, several million people of varying nationalities worship in unison. Every adult, healthy Muslim who has the financial and physical capacity to travel to Mecca and can make arrangements for the care of his/her dependents during the trip, must perform the Hajj at least once in a lifetime. Umrah, the lesser pilgrimage, is not obligatory, but is recommended in the Qur'an. Often, they perform the Umrah while visiting Al-Haram Mosque. Mecca features a hot desert climate. Like most Saudi Arabian cities, Mecca retains warm to hot temperatures even in winter, which can range from 18 °C (64 °F) at night to 30 °C (86 °F) in the afternoon. Summer temperatures are extremely hot and consistently break the 40 °C (104 °F) mark in the afternoon, dropping to 30 °C (86 °F) in the evening. Rain usually falls in Mecca in small amounts scattered between November and January. The city has grown substantially in the 20th and 21st centuries, as the convenience and affordability of jet travel has increased the number of pilgrims participating in the Hajj. Thousands of Saudis are employed year-round to oversee the Hajj and staff the hotels and shops that cater to pilgrims; these workers in turn have increased the demand for housing and services. The city is now ringed by freeways, and contains shopping malls and skyscrapers. In 2018, Haramain High-Speed Railway was launched connecting the Two holy cities of Makkah and Medina together. The railway consists of 35 trains and it is capable to transport 60 million passengers. Every train is as fast as 300km per hour and travels over the distance of 450 km. A high speed inter-city rail line (Haramain High Speed Rail Project also known as the "Western Railway"), is under construction in Saudi Arabia. It will link along 444 kilometres (276 mi), the Muslim holy cities of Medina and Mecca via King Abdullah Economic City, Rabigh, Jeddah and King Abdulaziz International Airport. This rail line is planned to provide a safe and comfortable transport in 320 kilometres per hour (200 mph) electric trains in-turn reducing the travel time to less than two hours between Mecca and Medina . It will be built by a business consortium from Spain. 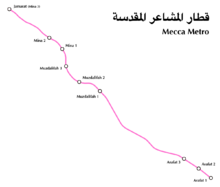 Highway 15 (Saudi Arabia) – connects Taif to Mecca and Mecca to Medina. ^ Mecca Municipality Archived 29 May 2007 at the Wayback Machine. Holymakkah.gov.sa. Retrieved 3 February 2013. ^ Merriam-Webster, Inc (2001). Merriam-Webster's Geographical Dictionary. p. 724. ISBN 978-0-87779-546-9. ^ a b Fattah, Hassan M.Islamic Pilgrims Bring Cosmopolitan Air to Unlikely City Archived 24 September 2014 at the Wayback Machine, The New York Times (20 January 2005). ^ a b Peters, Francis E. (1994). The Hajj: The Muslim Pilgrimage to Mecca and the Holy Places. Princeton University Press. p. 206. ISBN 978-0-691-02619-0. ^ a b c d Ham, Anthony; Brekhus Shams, Martha & Madden, Andrew (2004). Saudi Arabia (illustrated ed.). Lonely Planet. ISBN 978-1-74059-667-1. ^ Long, David E. (2005). Culture and Customs of Saudi Arabia. ISBN 978-0-313-32021-7. ^ Kipfer, Barbara Ann (2000). Encyclopedic dictionary of archaeology (Illustrated ed.). Springer. p. 342. ISBN 978-0-306-46158-3. ^ Glassé, Cyril & Smith, Huston (2003). The new encyclopedia of Islam (Revised, illustrated ed.). Rowman Altamira. p. 302. ISBN 978-0-7591-0190-6. ^ Phipps, William E. (1999). Muhammad and Jesus: a comparison of the prophets and their teachings (Illustrated ed.). Continuum International Publishing Group. p. 85. ISBN 978-0-8264-1207-2. ^ a b Versteegh, Kees (2008). C.H.M. Versteegh; Kees Versteegh (eds.). Encyclopedia of Arabic language and linguistics, Volume 4 (Illustrated ed.). Brill. p. 513. ISBN 978-90-04-14476-7. ^ Peterson, Daniel C. (2007). Muhammad, prophet of God. Wm. B. Eerdmans Publishing. pp. 22–25. ISBN 978-0-8028-0754-0. ^ a b Philip Khûri Hitti (1973). Capital cities of Arab Islam (Illustrated ed.). University of Minnesota Press. p. 6. ISBN 978-0-8166-0663-4. ^ Firestone, Reuven (1990). Title Journeys in holy lands: the evolution of the Abraham-Ishmael legends in Islamic exegesis. SUNY Press. pp. 65, 205. ISBN 978-0-7914-0331-0. ^ Translated by C.H. Oldfather, Diodorus Of Sicily, Volume II, William Heinemann Ltd., London & Harvard University Press, Cambridge, MA, 1935, p. 217. ^ Crone, Patricia (1987). Meccan Trade and the Rise of Islam. Princeton University Press. pp. 134–135. ISBN 978-1-59333-102-3. Morris, Ian D. (2018). "Mecca and Macoraba" (PDF). Al-ʿUṣūr Al-Wusṭā. 26: 1–60. ^ Hawting, G.R. (1980). "The Disappearance and Rediscovery of Zamzam and the 'Well of the Ka'ba'". Bulletin of the School of Oriental and African Studies, University of London. 43 (1): 44–54 (44). 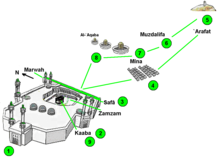 doi:10.1017/S0041977X00110523. JSTOR 616125. ^ Crone, Patricia and Cook, M.A. (1977) Hagarism: The Making of the Islamic World, Cambridge University Press. p. 22. ^ Bauer, S. Wise (2010). The history of the medieval world: from the conversion of Constantine to the First Crusade. W.W. Norton & Company. p. 243. ISBN 978-0-393-05975-5. ^ Müller, Walter W. (1987) "Outline of the History of Ancient Southern Arabia" Archived 10 October 2014 at the Wayback Machine, in Werner Daum (ed. ), Yemen: 3000 Years of Art and Civilisation in Arabia Felix. ^ Herbermann, Charles, ed. (1913). "Mecca" . Catholic Encyclopedia. New York: Robert Appleton Company. ^ Chisholm, Hugh, ed. (1911). "Mecca" . Encyclopædia Britannica. 17 (11th ed.). Cambridge University Press. p. 952. ^ "The Saud Family and Wahhabi Islam Archived 21 July 2011 at the Wayback Machine". Library of Congress Country Studies. ^ Cholera (pathology) Archived 27 June 2009 at the Wayback Machine. Britannica Online Encyclopedia. ^ Ruthven, Malise (2006). Islam in the World. p. 10. ISBN 978-1-86207-906-9. ^ Express & Star Archived 3 March 2016 at the Wayback Machine. Express & Star. Retrieved 3 February 2013. ^ "Over 700 Dead, 800 Injured in Stampede Near Mecca During Haj". NDTV. Archived from the original on 25 September 2015. Retrieved 24 September 2015. ^ a b "Kano rents 15 houses in Saudi for pilgrims". Ndn.nigeriadailynews.com. 30 June 2009. Archived from the original on 14 July 2011. Retrieved 3 February 2013. ^ "Klimatafel von Mekka (al-Makkah) / Saudi-Arabien" (PDF). Baseline climate means (1961–1990) from stations all over the world (in German). Deutscher Wetterdienst. Retrieved 25 January 2016. ^ Saudi government demolishes historic Ottoman castle Archived 10 May 2008 at the Wayback Machine. Wsws.org (28 January 2002). Retrieved 2013-02-03. ^ http://www.witness-pioneer.org Archived 11 November 2010 at the Wayback Machine. Retrieved 3 February 2013. ^ "المستشفيات – قائمة المستشفيات" Archived 9 February 2015 at the Wayback Machine. moh.gov.sa. ^ Pearson, Michael Naylor (1996). Pilgrimage to Mecca: the Ind[i]an experience, 1500–1800. Markus Wiener Publisher. p. 62. ISBN 978-1-55876-089-9. ^ Robert W. Hefner; Patricia Horvatich (1997). Islam in an Era of Nation-States: Politics and Religious Renewal in Muslim Southeast Asia. University of Hawai'i Press. p. 198. ISBN 978-0-8248-1957-6. Retrieved 5 June 2014. ^ "Roads" Archived 4 February 2015 at the Wayback Machine. saudinf.com. the editors of Time-Life Books. (1999). What life was like in the lands of the prophet: Islamic world, AD 570–1405. Time-Life Books. ISBN 978-0-7835-5465-5. Lapidus, Ira M. (1988). A History of Islamic Societies. Cambridge University Press. ISBN 978-0-521-22552-6. 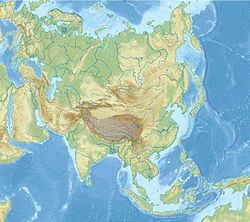 This page was last edited on 19 April 2019, at 04:48 (UTC).